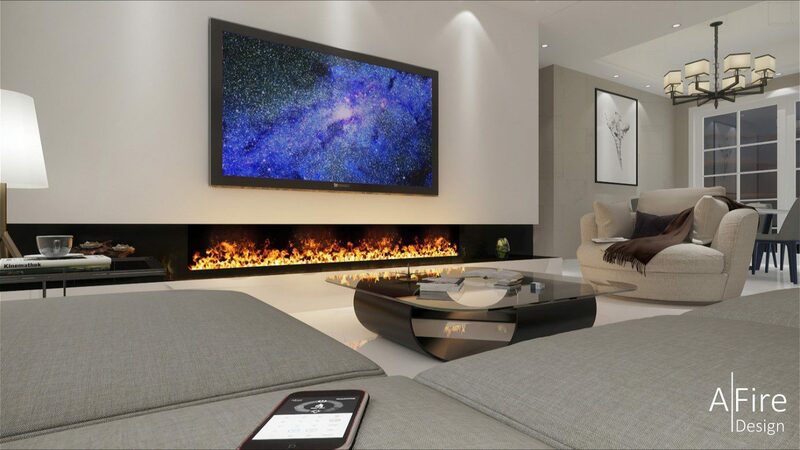 Reinventing the art of fire for a high-tech and high-end inserts and fireplaces manufacturer means having a modern vision of the needs of consumers. Most people rightly avoid constraints. Everyone dreams about an urban fire, easy to install and simple to use. For more than twenty years, AFIRE has taken a different approach to fire and has solved the equation of design, modernity and safety. Between industry and craftwork, AFIRE fireplaces manufacturer develops, produces and monitors the quality of its inserts and hearths in its workshops. A unique know-how whose vocation is to recreate a contemporary use of high-end fireplaces. Everything begins with observation of the use of the fire. The “research and development” team at AFIRE has a precise mission: to remove the constraints, to ensure safety of the devices and to invent models with a perfect design, right down to the last detail. The “Projects” team conceives the manufacturing of new prototypes and responds to the requests of customers seeking special custom-made manufacturing. The manufacturing of a fireplace or a burner is a complex process that requires a great deal of attention. After the conception by the engineering consulting team and the drawings, the manufacturing requires at the same time contemporary and craftsmanship know-how. To make a successful product, it is necessary to coordinate the industrial process of machines at the cutting edge of technology with the work of welding, finishing and checks that can only be operated manually. Our burner inserts and fireplace assembly workshops constitute the core of our activity. It is here that all the components (metal parts, electronic boards, pumps, safety detectors, sensors, contact levels, electromagnets, etc.) arrive. With these parts are assembled and tested with great accuracy. For a high-end ventless fireplaces manufacturer, the last phase of this industrial process is certainly the most important: quality control. These checks begin when the components are received and continue during the assembly and end phase with a final inspection. AFIRE offers you the widest range of delivery services worldwide through its carriers. Express shipment services propose versatile and reliable options of delivery. DHL, UPS and FEDEX are the main partners of AFIRE. After your order and the dispatch of your parcel from our workshops, we send you a “tracking number”. You can then follow your shipping “on-line” and know exactly where your parcel is and plan its delivery.